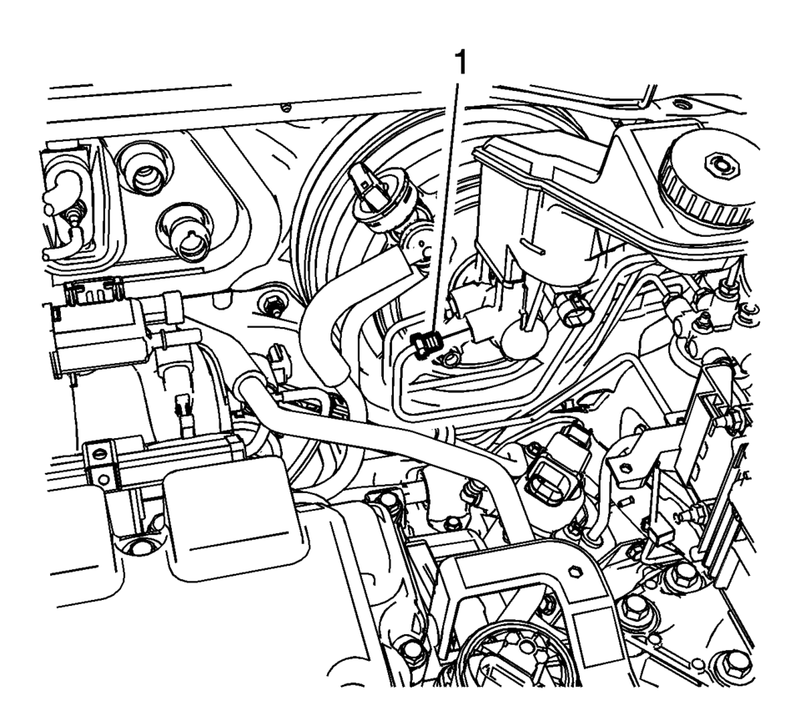 Clean the area surrounding the brake pressure modulator valve (BPMV) of any accumulated dirt and debris. Disconnect the master cylinder secondary brake pipe fitting (1) from the master cylinder. 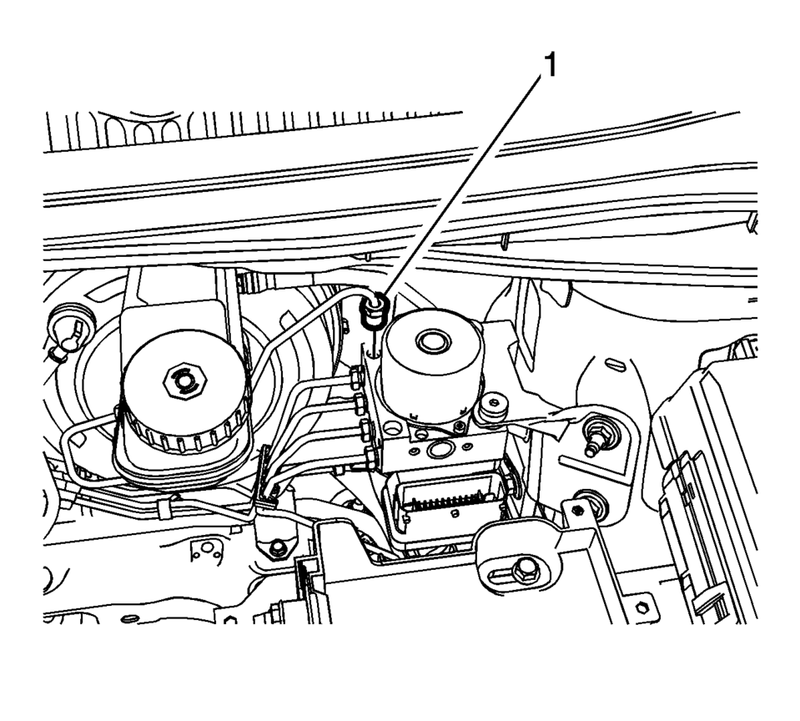 Plug the master cylinder outlet port to prevent brake fluid loss and contamination. Disconnect the master cylinder secondary brake pipe fitting (1) from the BPMV. 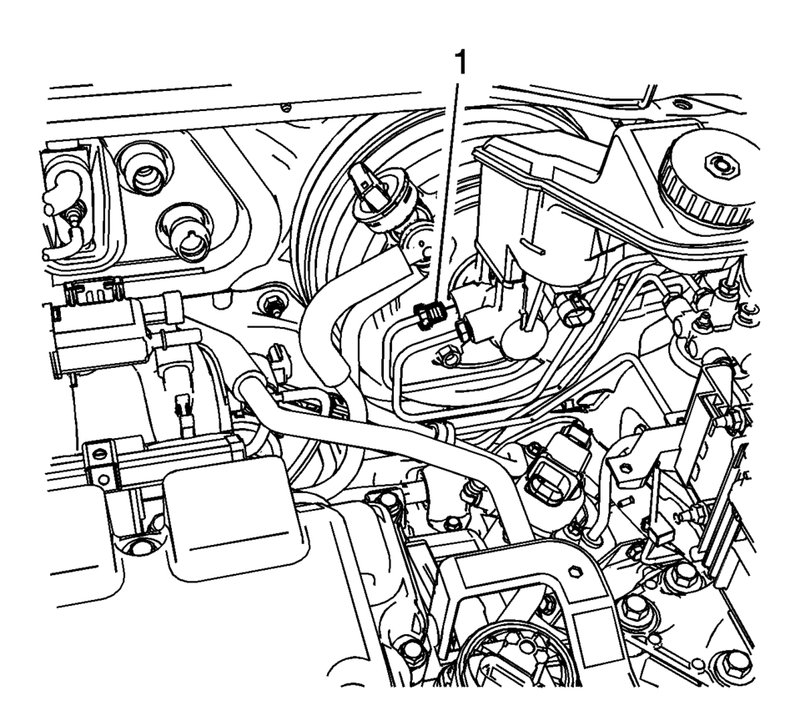 Plug the BPMV inlet port to prevent brake fluid loss and contamination. Remove the master cylinder secondary brake pipe assembly. Disconnect the master cylinder primary brake pipe fitting (1) from the master cylinder. 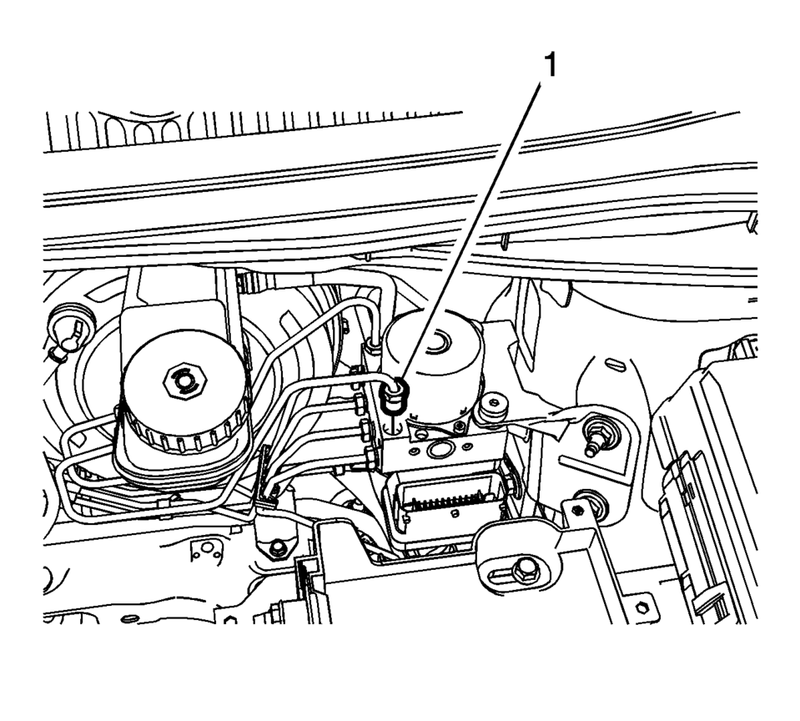 Disconnect the master cylinder primary brake pipe fitting (1) from the BPMV. Remove the master cylinder primary brake pipe assembly. Install the master cylinder primary brake pipe assembly. Install the master cylinder secondary brake pipe assembly. Install the battery. Refer to Battery Replacement.